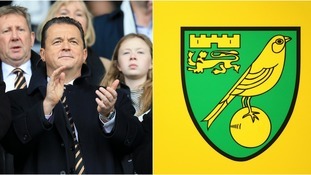 Where did it go wrong for Jez Moxey as Norwich City Chief Executive? Norwich City fans were stunned last night after the news broke that Chief Executive Jez Moxey had stood down from his position. His time at Carrow Road may have been short-lived, but it was certainly eventful. Whatever you say about Norwich fans, the one thing you can't question is their loyalty. Carrow Road is regularly sold out on matchdays, no matter what league the Canaries are in, so to see the ground not even half-full against Southampton in the FA Cup was a huge surprise to most. Thousands of supporters chose to stay away from the game in protest at the £25 ticket price, which was the third highest in the country on that weekend. The club did eventually realise their mistake and issue an apology in the lead-up to the replay at St Mary's, but it did little to quell the anger of many fans who felt their devotion had been taken for granted. Arguably Jez Moxey's biggest own goal was the decision to do an 'in-house' interview with the club's media team at a time when manager Alex Neil was under serious pressure. The video, which was released on the club's Youtube channel, went down like a lead balloon with supporters, with some accusing it of being scripted. The fact that the local media weren't given an opportunity to ask questions was a poor move on his part, and one that he never really recovered from. With Norwich in the midst of their worst run of form in years, fans were frustrated at the perceived lack of accountability shown by Moxey and the rest of the board in such a tough period. Time after time it would be Alex Neil who would have to come out and face the music, while there was silence from the boardroom. Supporters were crying out for some kind of response from the club's hierarchy, but when it did eventually come via an 'in-house' video, the frustration only grew. Norwich City Interim Chief Executive Steve Stone talks to ITV News Anglia about his plans for the club.